As the rumblings about a potential move from M-Sport Ford to Citroen for Sebastien Ogier continue to grow, it makes one wonder, “What does Seb get out of this?” At first glance, it would be easy to come to the conclusion that in the best case scenario, it would be a lateral move. After all, despite almost 2 years of development, the Citroen C3 WRC doesn’t look much better than it did at the start of 2017. While it may not be the diabolical monster that it was last year, trying to throw itself off the road over every bump and compression, it certainly still appears to lack consistent pace on gravel. The M-Sport Fiesta has definitely fallen behind the development curve of the factory teams this season, but it still seems like a better option than the erratic Citroen C3. Besides that, one major reason that Sebastien chose M-Sport was because he wanted to remove himself from the rigorous corporate commitments of a full factory drive in favor of a more low-key atmosphere. Citroen certainly won’t offer the same level of insulation that M-Sport has provided him. So why would he take the leap? The way I see it, no matter what happens, Sebastien can’t lose by going to Citroen. Here’s how I figure it. As Citroen is staring down the barrel of a 2nd consecutive last place finish in the WRC manufacturer championship, the entire team knows that there is some serious soul-searching to be done. Since the start of the 2017 season, there has been a steady stream of negative press surrounding the team painting a picture of turmoil and mismanagement. For Citroen, it’s now or never. This is pure speculation, but I wouldn’t be surprised if behind the scenes, the PSA Group have laid down an ultimatum for the team to perform next season or risk being axed. There’s only so much public humiliation that a brand can withstand before the company board loses their patience and pulls the plug. I have the feeling that Citroen is teetering very close to that ledge. So why in the world would Seb ever want to step into such an environment? If Citroen secure his services for the 2019 season, Seb will hold all the cards to demand EXACTLY what he wants from the team. Citroen is in crisis, and they need him. He can demand the wages he thinks he deserves as well as the work-life balance that he thinks he will need to be successful. Citroen can’t afford to play hardball with Ogier because they are no doubt groveling at his feet begging him to come to their team. This isn’t the end of 2016 where everyone thought Citroen would be the best team in the next season due to the time they took off to develop the C3. This is 2018 where Citroen has been the laughing-stock of the sport for 2 agonizing seasons. Seb can negotiate exactly what he wants and there’s nothing Citroen can do about it. OK, so Sebastien will have a nice contract with plenty of clauses written in to protect his free time from too much PR work. However, what if the car and the team are still absolute crap next season… then what? Honestly… SO WHAT? Sebastien Ogier doesn’t have to worry about his reputation being tarnished one bit even if next season at Citroen is a big disaster. His presence on the team will only magnify the scrutiny that is placed on Citroen from both their corporate bosses and the media. Citroen have already used up their “blame the driver”card by firing Kris Meeke earlier this year. 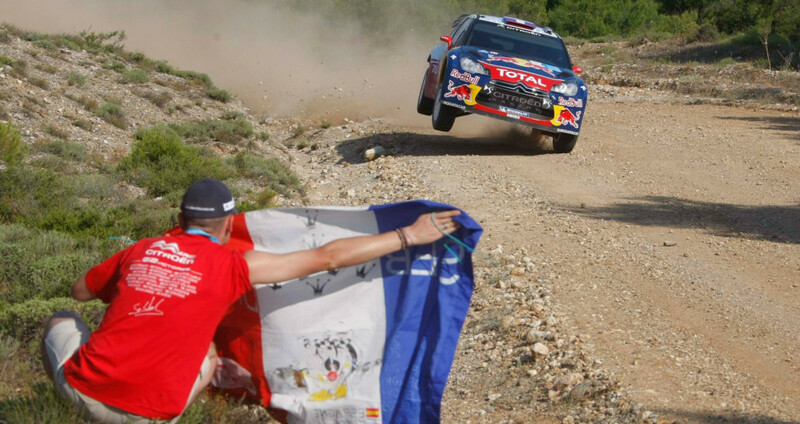 With Ogier now driving their car, there is absolutely NOWHERE for the team to hide. So what if Sebastien throws the car off into the trees a few times: what is Citroen going to do… fire a 5 time world champion? Of course not! If the team can’t turn this thing around with the current best rally driver in the world behind the wheel of their car, then quite frankly they deserve to be axed by their bosses. Even if that happens, Sebastien Ogier will still go down as one of rallying’s greats alongside names such as Loeb, Makinen, and Kankkunen. But what if Sebastien Ogier is exactly the missing piece that is needed to turn the tide at Citroen? What if his leadership, professionalism, and talent is enough to take this floundering team and return them to their glory days in the 2000’s? This certainly is a possibility. We all saw exactly how big the “Ogier Effect” was when he joined M-Sport in 2017. His presence elevated the performance level of every single person on that team. Malcolm Wilson has unequivocally stated several times that signing Sebastien was the best expenditure ever made in M-Sport’s history. Citroen may have to pay dearly for Sebastien Ogier’s services, but if he is able to turn around a semi-privateer team with limited resources, than he should be able to do the same with the strength of a factory team behind him. 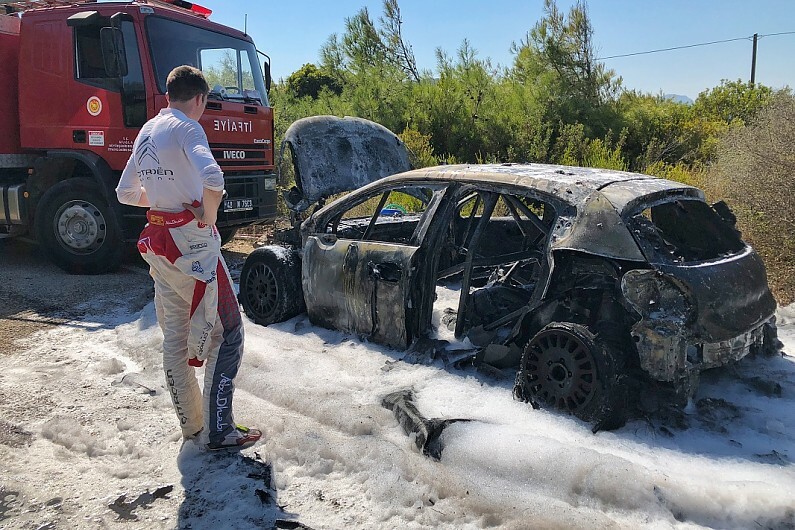 If this is indeed the story that we are writing about this time next year, then Sebastien will have further cemented his place in WRC history. In fact, he will have made a case that he is the best to ever drive a rally car in the WRC. If Ogier is the world champion at the end of 2019, he will be the only driver to have won a world championship with three different teams.